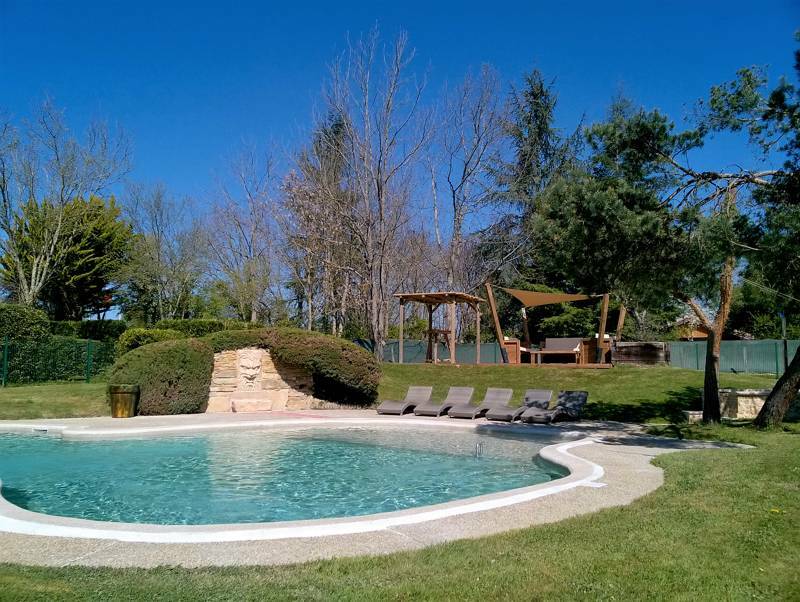 Gascony in the sunny south west of France offers all the diversity of the country in a single region making it a great place for a camping holiday. From the famous vineyards of Bordeaux down to the foothills of the Pyrénées, Gascony includes Atlantic beaches, mountain scenery and rural heartlands. Its countryside shares much with the neighbouring Dordogne region but the more-gentle landscape attracts fewer crowds. Nonetheless there’s plenty to see and do: you can dig your toes in to the sand of Europe’s largest sand dune, cycle through its largest maritime pine forest, climb the stairs of France’s oldest lighthouse and marvel at its highest waterfall. It is also home to some of the country’s best food and drink – pretty impressive in a country like France. All these things combined make it a great place to go camping or glamping so pack up the car, pick up the phrase book and say bonjour to camping in Gascony. 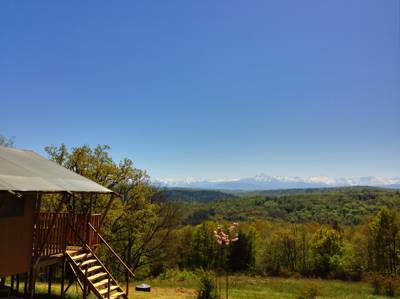 With beach, mountain and rural scenery, plenty of sunshine and great food and drink, Gascony has all the elements for fantastic camping and glamping holidays. 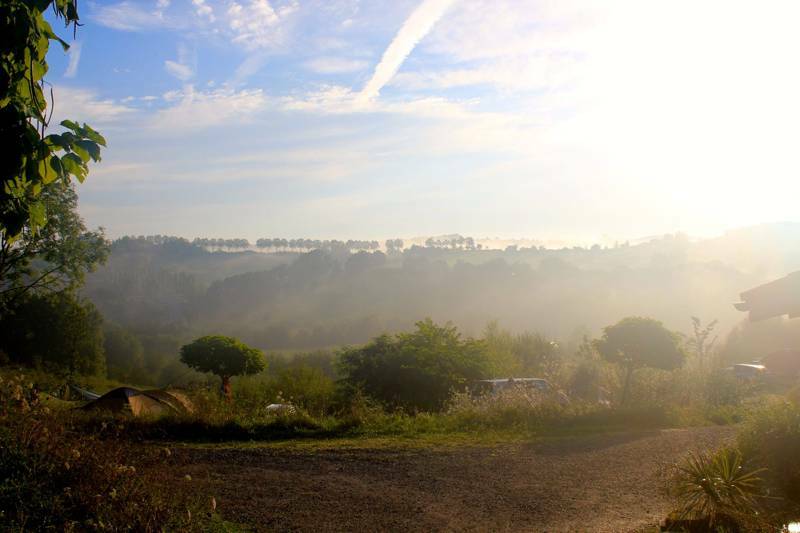 The Cool Camping team have sought out the best campsites in Gascony for this collection which includes everything from beachside to mountain-view sites. Whether you choose camping or glamping, coast or countryside, one thing is for sure you won’t be short of things to see and do. This age-old region has medieval villages, historic châteaux and vineyards to visit. And if you like a bit more action with your adventuring, there are forests to explore, mountains to hike up and rivers to kayak down. A medieval dukedom which no longer corresponds to modern French regions, Gascony takes in parts of Nouvelle-Aquitaine and Occitanie. Its northern reaches are in the vineyards of Bordeaux, it’s western edge is the Atlantic coast and its southern side is the Spanish border and the Pyrénées. While it includes beaches and mountains among its many treasures, it’s heart is said to lie in landlocked Gers and the Garonne valley. This is a rural region of rolling hills, farmland and vineyards; famous for foie gras, Armagnac brandy and as the place Alexandre Dumas’ fictional wannabe musketeer D’Artagnan came from. 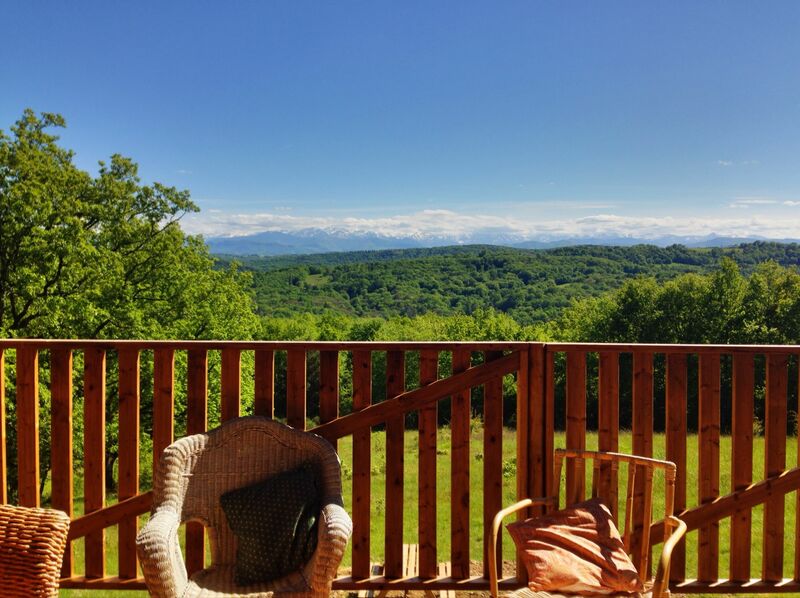 Whether you want to relax amid rural scenery, find adventure in the mountains, chill out on the beach, explore French vineyards or a combination all of these elements, Gascony is a great destination to choose. With so much outdoor beauty bathed in the sunshine of the south of France, we can’t think of a better way to visit than on a camping or glamping holiday. As our nearest neighbour, France is the easiest place to get to for a European camping holiday in almost-guaranteed sunshine. You can pack up the car, hop across the Channel and take on the drive south until you hit sunshine. As a result, it’s no surprise that the south of France is a magnet for campers and has a wealth of campsites. Like its neighbours in the Dordogne and on the Mediterranean coast, Gascony has plenty of places to pitch a tent. There are woodland campsites, campsites in wildflower meadows, campsites by rivers and campsites right on the beach. There are small places where its tents-only and bigger ones where you can pitch a tent, park a campervan or position a caravan. 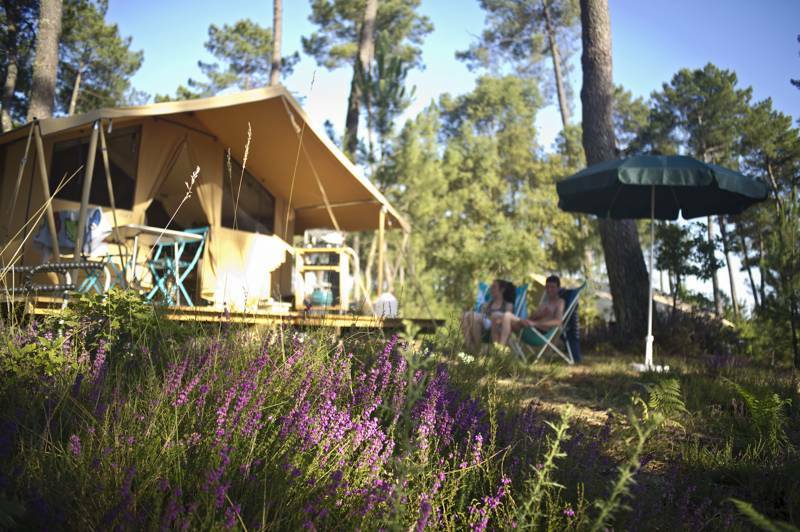 Large or small, most French campsites tend to be well-set up with plenty of facilities. In the hot temperatures of the south, even smaller sites will often have a swimming pool and there is usually somewhere to play petanque (boules) or table tennis. 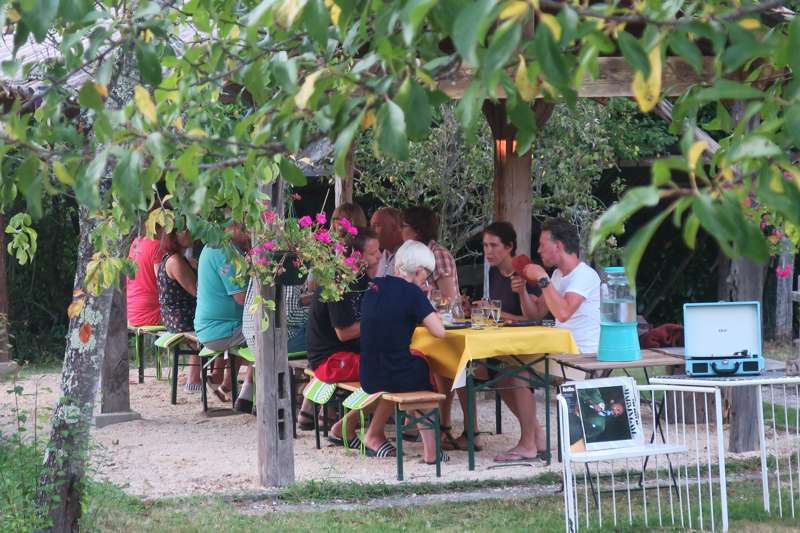 The Cool Camping preference for places with a certain je ne sais quoi means we are not always fans of larger sites which can leave campers feeling a little lost, but our recommendation does not come down to numbers alone. Some larger sites offer fantastic places to pitch up or park up and their facilities can be a real bonus – especially if you’re on holiday for a couple of weeks. The larger sites, such as those we recommend owned by Huttopia, often have facilities and activities that will leave you wanting for nothing. You’ll often find an on-site shop, bar and restaurant and even spa facilities for the adults and classes and clubs for kids too. If you like the sound of fabulous facilities and spending time in the sunshine of south-west France but don’t fancy pitching a tent, why not opt for glamping in Gascony? There are plenty of great glamping sites across the region which can help to make a camping holiday just that little bit more luxurious. You’ll certainly have more room in your car on the drive south and, in fact, could even choose to fly to one of the region’s airports if you haven’t got to carry a tent. What’s more you won’t get in a tangle with guy ropes on arrival as your tent (or other glamping accommodation) will be set up ready and waiting for you. If you don’t like the sound of dashing across the campsite for a midnight run to the toilet, you might like to choose somewhere with a private bathroom and if you don’t want to take any kitchen gear in your luggage, choose somewhere that’s already equipped. A classically French glamping option is the safari tent: these luxury tents have been pitched on campsites across the country for decades and it’s easy to see why. They offer a walk-in tent with plenty of room for a family. There’s usually an awning for al fresco dining, a living or dining area inside as well as separated canvas bedrooms complete with camp beds. 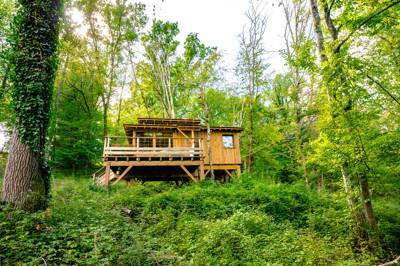 Cabins and chalets or wooden cottages are also tried and tested French glamping options but these days the range has expanded and you can book yourself in to bell tents, yurts, tipis, shepherd’s huts, gypsy caravans (or roulottes, as they’re better known in France), geodesic domes and more. Gascony is a largely rural area and camping in the countryside can give you a chance to enjoy its charms. It’s easy to relax into a slower pace of life when you find yourself surrounded by farmland, vineyards and peaceful waterways. Choose a campsite in the heart of Gascony countryside and you can spend days walking and cycling amid beautiful scenery. You will also be well placed to visit medieval villages and towns like Montreal du Gers and the snigger-inducing town of Condom, with its 16th century cathedral and Armagnac Museum. It’s got nothing to do with the English meaning of the word by the way (we checked) though that probably hasn’t deterred British tourists from posing near the town’s sign. The towns and villages are perfect places to pick up farm-fresh produce from the still-important weekly markets too. Gascony is known for poultry and you’ll likely spot duck and poultry farms everywhere you go. One of the region’s specialities, which may not be to everyone’s taste, is paté de foie gras, another is that already-mentioned tipple: Armagnac brandy. Back out in the countryside, you’ll see plenty of vineyards and there are lots of Armagnac distilleries which welcome visitors for tours and tastings. The Garonne and Lot rivers and the Canal du Midi all flow through the region, and there are lots of lakes too. If you like to explore an area via its peaceful waterways, look out for campsites near the rivers and their tributaries or on the banks of a lake. The scenery is less dramatic than the Dordogne but still offers a lovely place to paddle and the waterways are less crowded. There are plenty of places you can hire equipment if you don’t have your own, including many campsites. Gascony reaches into foothills of the Pyrénées, France’s second highest mountain range. If you fancy unzipping the tent to fresh mountain air and views of high peaks then this is a great place to do it. In addition to jaw-dropping views, camping and glamping in this region on the border with Spain also offers plenty of opportunity for adventure. Walkers, mountains bikers and horseriders will all be able to get stuck in and there are even more adrenaline-inducing opportunities too with climbing, abseiling, white water rafting and luging all available. Much of this border country falls in to the Pyrénées National Park – one of just six national parks in the whole of the country and a hotspot for wildlife and rare flowers. Neighbouring Néouvielle National Reserve is also protected for its biodiversity: a land of pine forests, lakes and meadows sculpted by glaciers. The 2,877-metre Pic du Midi is a popular peak with a famous observatory and panoramic views. There’s no need to take on the challenging ascent (unless you want to) as there’s a cable car to help you up. This mountainous part of Gascony is also home to traditional spa towns like Baréges and Ax-les-Thermes and the famous pilgrimage centre at Lourdes. For more camping in this mountain range check out our hand-picked selection of campsites in the Midi-Pyrénées. Gascony at Campsites in Gascony, Take a look at our hand-picked collection of campsites in Gascony. From classic campsites to luxury glamping sites, family-friendly sites to campsites with dogs allowed, our Gascony camping collection has something for everyone.